Hello guys. Please someone who knows about this topic to help me. I’ve asked several groups, looked at USCIS website, and even visa journey website and each one says different than the other. i did not meet the minimum income to sponsor my Brazilian fiancé. We do not have a co sponsor and won’t have one. I have savings and I own a vehicle that I can use towards the income. But my question is: the amount of cash that I need to have must be x5 or x3? Example: the income required is 21k, I have 20k, therefore I need 1,000 times 5 in cash, so I need 5,000 to put in the affidavit of support and AOS. But im confused if it’s tines 5 or times 3. Has anyone been into this situation?? Hi guys, based on some of the posts I've read around these forums, I understand that having a joint bank-account is one of the important proofs that can validate the genuineness of the marriage, & therefore, K1 couples should get a joint bank-account immediately after getting legally married. This being the case, when we're filing for Adjustment of Status, how much of the assets in the joint-account can be claimed by the US citizen-spouse on I-864 for the purpose of income-requirement? For instance, if a couple has 50k in their joint bank-account (some of which was brought over by the immigrant-spouse when they came to the US), can the US citizen claim the entire 50k as belonging to the US citizen, on their I-864, for the purpose of meeting the income-requirements for Adjustment of Status? Got a Request for Initial Evidence for Greencard - but they don't seem to have taken my (the immigrant's) assets into account? Hello everyone, I am the Petitioner, filling out the I-864 now. Here's a little background info: 1. Because I live abroad (due to my wife's requirement to fulfill a J1 two-year-home-residence-requirement) my current income is listed as $0. 2. I do have sufficient assets (from US stocks) but am hesitant to provide the documents as they have account numbers that I don't want additional people to have access to. 3. I already have a joint sponsor as I was not initially aware that my assets might be enough even without any US income. Their application is already complete and ready to go. 4. I read this online talking about common mistakes on I-864: "Whenever the petitioning sponsor requires a joint sponsor, however, his or her income becomes irrelevant. In other words, the petitioning sponsor, while still required to submit an I-864, is not able to sponsor any of the intending immigrants." My question is this: If I just go ahead and use a joint sponsor, do I need to provide my asset information? Can I leave it blank or write "not applicable"? Will it negatively affect the approval in any way if I have zero income and zero assets but am not the sponsor? Thank you so much in advance for any help anyone can give me. It's been a confusing process and this website has been incredibly helpful for my wife and I! I-864 using intending immigrants income when self-employed? I am planning to petition my mom, but before I make her go through the hoops and loops I want to make sure that I am cleared on my end here. I am widowed,stay at home mom of my two sons, 6yrs old and 8months old. My husband passed on 9months ago and with that being said me and my kids are receiving Survivor Benefits. Since i can't claim my kids benefits as part of my income- QUESTION 1: are they(my kids)my dependent? QUESTION 2: Which number of household should I consider to define which poverty Guideline to consider. Household of 4 or Household of 2? QUESTION 3: I've been stay at home mom and my husband always filed our taxes MARRIED FILING JOINTLY, can I consider it my tax return too, right? QUESTION 4: with SSA benefits alone, I doubt I will meet the required income, So I am considering to use my assets x5 the poverty level, is 401k also considered as asset? Thank you. Hello! I am recently married to an American lady and we are putting the finishing touches to the AOS package. 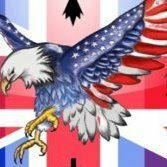 (I'm here on an O1 visa - almost 3 years) Do I have to put my UK assets down on the I-864 form (in PART 7, section 6) OR do I just put my current US bank balance? TBH - I dont have any money back in the UK these days as I've transferred my life over here, so it would be pointless. ALSO - Will my earnings effect the case...can't I just leave it blank?